Resource Library - Loos & Co., Inc. 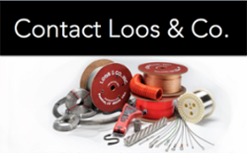 The Loos and Company Resource Library is full of materials to help you determine which of our products may meet your needs. Loos and Company specifications outline the various specifications which our products adhere to for each industry we serve. We have the experience and expertise necessary to meet your specification. Visit our Specifications page to learn more. Looking for a Product Catalog? 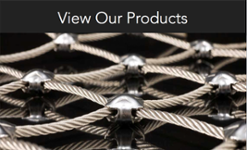 Wondering what the minimum breaking strength is on a 7x7 cable you recently purchased from us? This is where you will find that and all other relevant information. Visit our content library page to learn more. 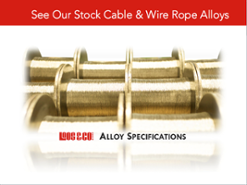 Our technical information pages contain guides such as how to correctly measure a cable assembly, pulley diameter, and more. Visit our technical information page to learn more. Our glossary of terms page allows you to search for common words or phrases used in the industry. Visit our glossary of terms page to learn more. Have a question you feel may be something we run into every day? Visit our FAQ page page to learn more and contact us if you don't find exactly what you're looking for.